May 1 , by Mardi Robyn. I have seen necklaces similar to this one in various online shops, and often wondered how they were made. 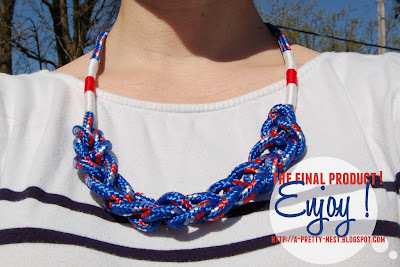 In this tutorial Maria author of the blog “A Pretty Nest,” shows how she made this super trendy, perfect for summer, Nautical Necklace.